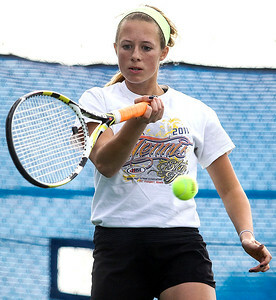 Sarah Nader - snader@shawmedia.com Crystal Lake Central's Maddie Fox returns a ball while competing in a doubles match at Hoffman Estates High School during the State Girls Tennis tournament Thursday, October 23, 2014. 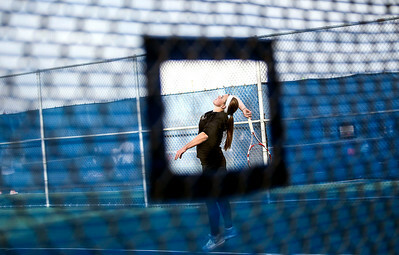 Sarah Nader - snader@shawmedia.com Crystal Lake Central's Maddie Fox serves while competing in a doubles match at Hoffman Estates High School during the State Girls Tennis tournament Thursday, October 23, 2014. Sarah Nader - snader@shawmedia.com Crystal Lake Central's Carley George returns a ball while competing in a doubles match at Hoffman Estates High School during the State Girls Tennis tournament Thursday, October 23, 2014. Sarah Nader - snader@shawmedia.com Kaneland's Angelica Emmanouil serves ball while competing in a doubles match at Hoffman Estates High School during the State Girls Tennis tournament Thursday, October 23, 2014. 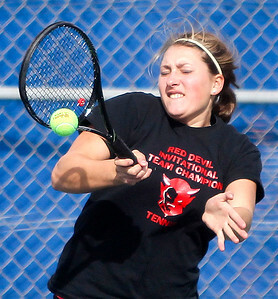 Sarah Nader - snader@shawmedia.com Hinsdale Central's Rugile Valiunaite returns a ball while competing in a doubles match at Hoffman Estates High School during the State Girls Tennis tournament Thursday, October 23, 2014. 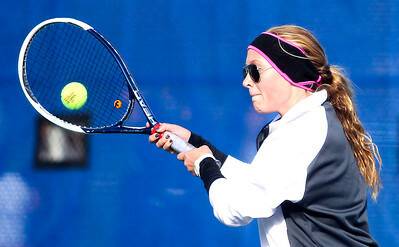 Sarah Nader - snader@shawmedia.com Prairie Ridge's Morgan Riddell returns a ball while competing in a doubles match at Hoffman Estates High School during the State Girls Tennis tournament Thursday, October 23, 2014. 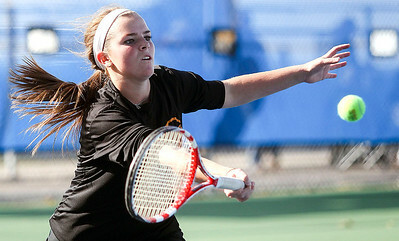 Sarah Nader - snader@shawmedia.com Kaneland's Madison Jurcenko returns a ball while competing in a doubles match at Hoffman Estates High School during the State Girls Tennis tournament Thursday, October 23, 2014. 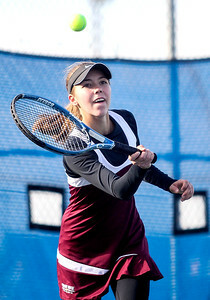 Sarah Nader - snader@shawmedia.com Prairie Ridge's Jenna VanBosch returns a ball while competing in a doubles match at Hoffman Estates High School during the State Girls Tennis tournament Thursday, October 23, 2014. 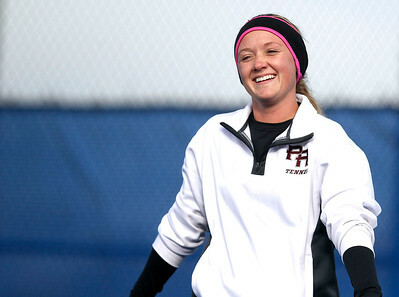 Sarah Nader - snader@shawmedia.com Prairie Ridge's Morgan Riddell reacts after scoring a point while competing in a doubles match at Hoffman Estates High School during the State Girls Tennis tournament Thursday, October 23, 2014. 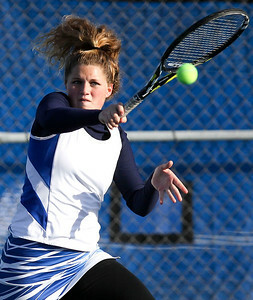 Sarah Nader - snader@shawmedia.com St. Charles North's Brittany Rohrsen returns a ball while competing in a doubles match at Hoffman Estates High School during the State Girls Tennis tournament Thursday, October 23, 2014. 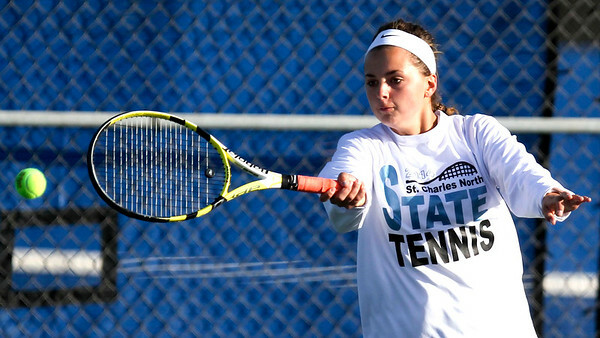 Sarah Nader - snader@shawmedia.com St. Charles North's Morgan Rerko returns a ball while competing in a doubles match at Hoffman Estates High School during the State Girls Tennis tournament Thursday, October 23, 2014. 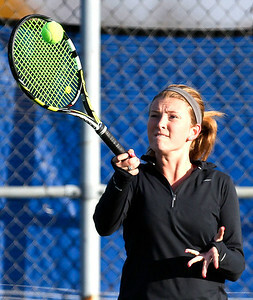 Sarah Nader - snader@shawmedia.com Lockport's Hailey Bruining returns a ball while competing in a doubles match at Hoffman Estates High School during the State Girls Tennis tournament Thursday, October 23, 2014. 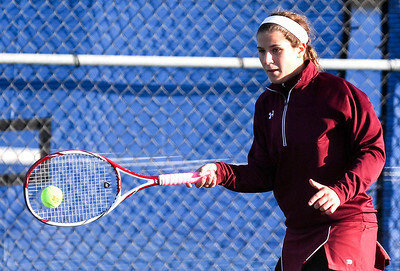 Sarah Nader - snader@shawmedia.com Lockport's Misa Coladipietro returns a ball while competing in a doubles match at Hoffman Estates High School during the State Girls Tennis tournament Thursday, October 23, 2014. 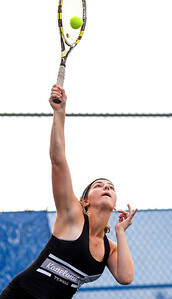 Sarah Nader - snader@shawmedia.com Downers Grove South's Janine Urgello returns a ball while competing in a doubles match at Hoffman Estates High School during the State Girls Tennis tournament Thursday, October 23, 2014. 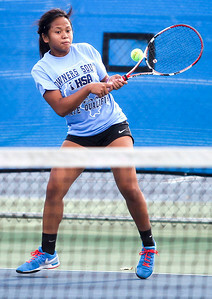 Sarah Nader - snader@shawmedia.com Downers Grove South's Tiffany Bui returns a ball while competing in a doubles match at Hoffman Estates High School during the State Girls Tennis tournament Thursday, October 23, 2014. 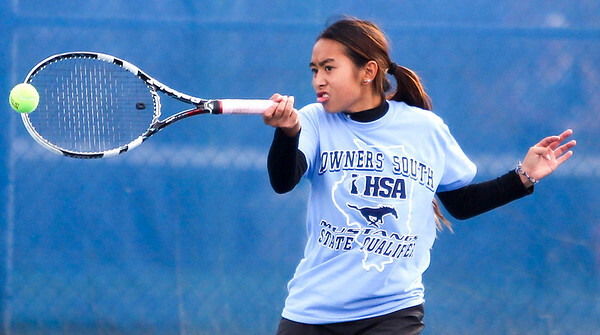 Downers Grove South's Tiffany Bui returns a ball while competing in a doubles match at Hoffman Estates High School during the State Girls Tennis tournament Thursday, October 23, 2014.